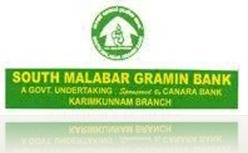 Puduvai Bharathiar Grama Bank | Government Jobs | February 2011 | Asstt. Manager Recruitment | Apply Online Upto: 15 March, 2011. RBI Reserve Bank of India | “Executive Interns” Required | BE/ BTECH Recruitment for Government Jobs | July 2010 | Last Date: 30 August, 2010. Dena Bank | 100 Probationary Officers Recruitment | Government Jobs | December 2010 | Apply Online Between: 7 December, 2010 and 28 December, 2010. CSB: The Catholic Syrian Bank Ltd. | Probationary Officers Recruitment | Government Jobs/ October 2010 | Last Date: 22 October, 2010 | Apply Online.